July is about ending, as I write this report. Simply, Filip, who assembles Update for us, starts his vacations tomorrow, so I decided to send you our news little earlier. Because July was so busy for us! Thank you so much for your prayers! And you, Peter, are so important for us!We started Women’s Breakfast events in 2006 during the Festival Of Life in Wisla. This month we held one for the 11th. time. It has become a very effective way of influencing woman. 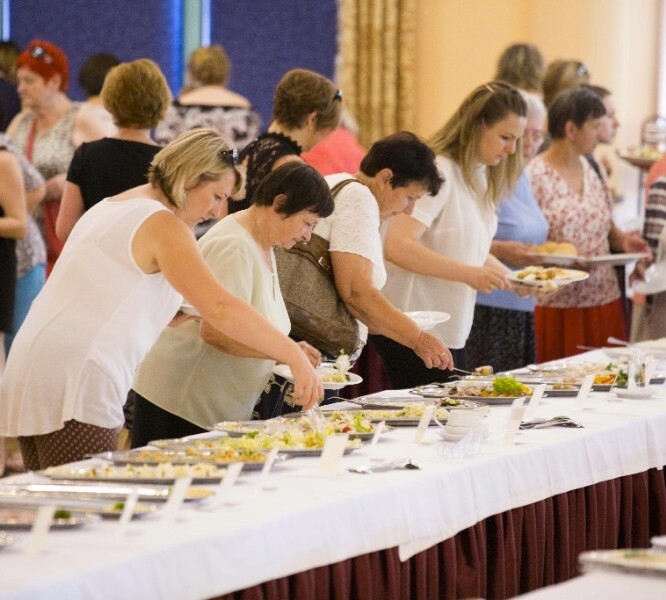 830 ladies came to the hotel in Wisla, most of them first-time guests. The testimonials, message and music was really well received, so my Bogusia, who, with friends, organizes it, has the joy of looking forward to planning the 12th. Breakfast next year. 11th Women’s Breakfast in Wisla! Great food, music, testimonies and Gospel message. 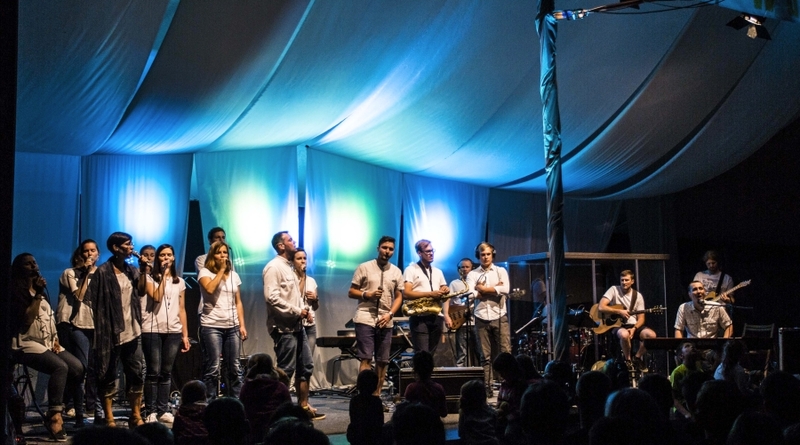 Hundreds of people gathered in big ten at ‘Czesc’ concert during Dziengielow Gospel Week. Several months ago it was obvious to me, that cooperation with the evangelical churches/denominations must be brought to the next level. 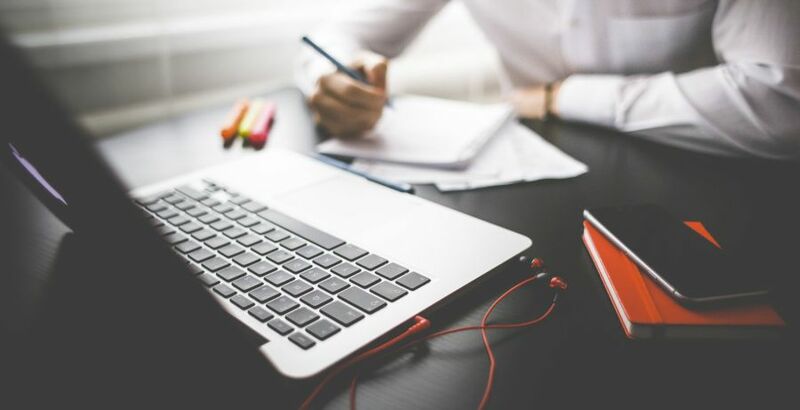 Here we have number of seekers who grow in the Internet programs, but the connection with churches is weak. 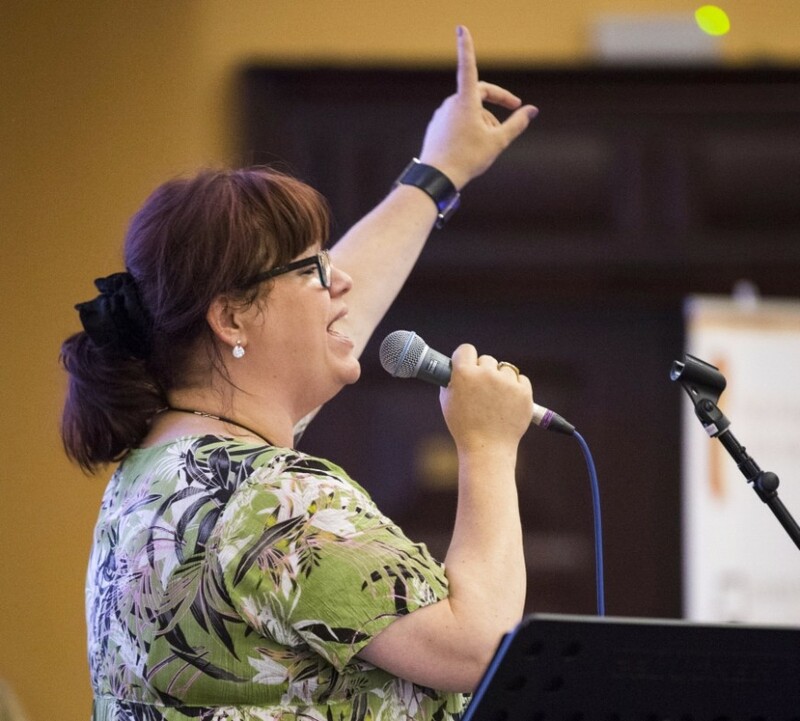 So we invited leaders from six Evangelical Alliance denominations to come to Wisla for a three day retreat and we had a wonderful, warm and joyful fellowship, brainstorming how to connect our strengths to extend our grow ministries and enlarge God’s Kingdom. I must admit, outcome has exceeded my expectations! I am much more optimistic now, seeing passion, commitment and the likelihood of growth in our churches. It always takes more time than we would like, but God is at work! Very special time with polish Evangelical Alliance leaders during 3 day retreat in Wisla. Our biggest project of the year, the augmented reality Gospel of John book connected with a mobile application has arrived in Poland, 150.000 copies of it (!). It is another sign of God’s grace as number of friends were involved in the process! First, Klemke Foundation from Canada has enabled us to make a Polish translation of the 2005 film the “Gospel Of John”. Then Dutch friends in Jesus.net helped with the mobile application. Irish friends, Revival Movement, have printed for us for free (!) all the books. The main goal was to be on time for distribution during the “Catholic World Youth Days” event that is taking place right now in Krakow. This is such an intriguing project, that one of my good friends, a Catholic bishop is lobbying to use it all over Poland as a textbook for all religious education in public schools, (that is obligatory in Poland) also as an insert to a Catholic weekly publication. Still warm! 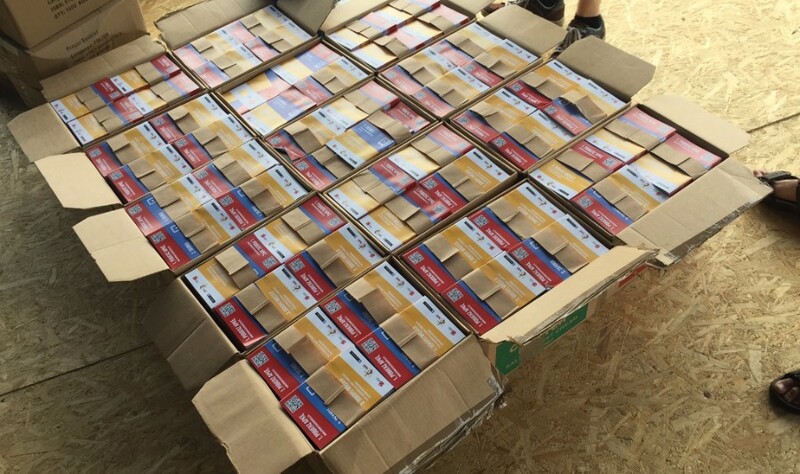 Freshly printed Gospel of John brochures prepared for World Youth Days. They work together with Augmented Reality app. If you’re not afraid of polish check out short video demo! Another involvement with the World Youth Day was to help prepare testimonials of many of its leaders on our Mystory.me testimonial portal. Now there are 486 testimonials in the Polish language! 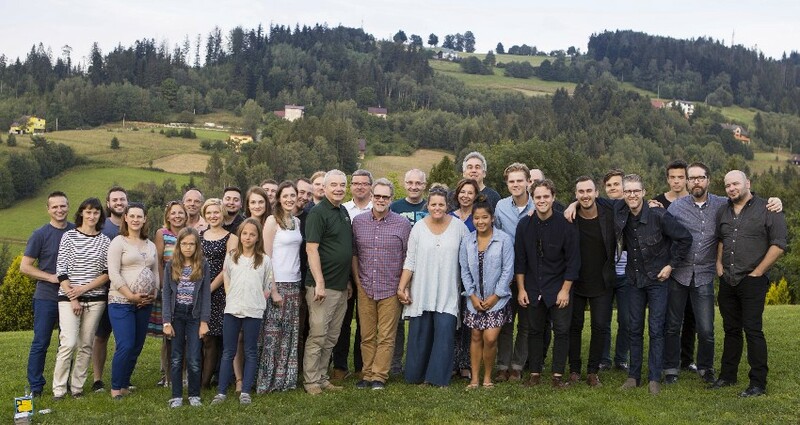 We have also helped a little to bring to Poland US musicians, Steven Curtis Chapman and Colony House bands. They played two concerts in Katowice, on the July 23, to a 40.000 audience and in Krakow on the 26th of July, to a smaller audience (many people having left after the Mass). Steven Curtis Chapman during concert in Katowice. Around 40 000 people from all over the world joined! Special dinner together with Steven, his family and friends. 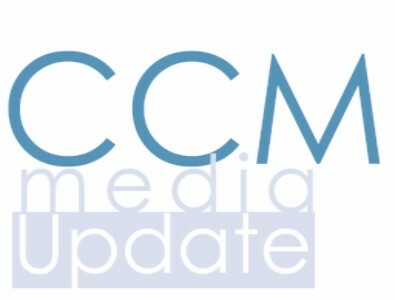 We had prepared a whole Text Messaging invitation, spoken by Steven Curtis Chapmen and we would trigger a 10 day follow-up by leading texting leading on into a selection of our courses, but, due to a spiritual warfare “somehow” the screens were not displayed. Still, the concerts were great; we had also the privilege of meeting the artists in Wisla where we had a wonderful fellowship in our studio and at dinner together. 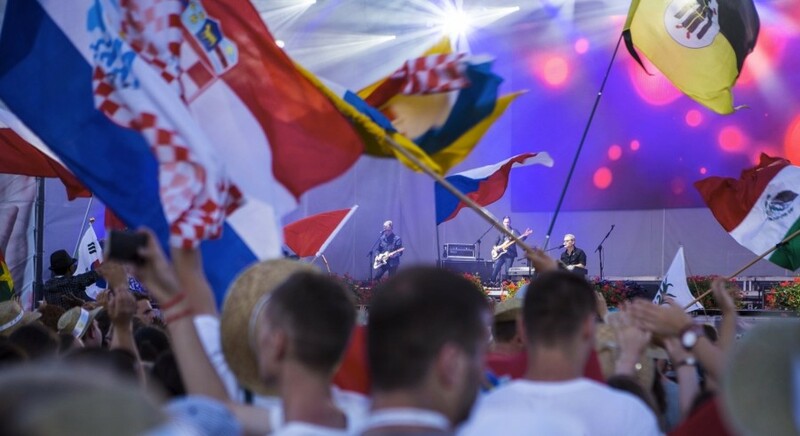 We shall be able to evaluate the outcomes of the World Youth Day, only after closing of the event, but for me it is obvious, that it is better to connect with people on one to one basis, over the Internet, when they are focused on communications and not in the whirlwind of a mass event with so much happening! Distraction is the biggest enemy and, after all, they came to meet with Pope not with us… Still, many evangelical Catholic leaders are doing a fabulous job, strongly helped by Campus Crusade people. Well, dear Friend thanks for all your prayers. We see so much blessing that we are just overwhelmed. Now we are ready to rest a little, many of our people will have vacations… Because on top of the special events, like those described above, there is the daily work of the ministry that is adding, day by day, new people to the Kingdom. This is our work, in partnership with You, our prayer warrior and supporter! Gospel of John project fulfilled!!!! Good time of rest for our people! Preparing for test launch of our flagship software, CODEX/Gele 3.0 planned in September. New engine/structure for all the languages for Knowing God web page. Still more new people to join staff and volunteers as the needs grow.